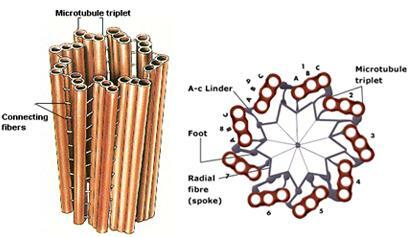 The centriole is a molecular dynamo (Zhao, 2015) that generates an electromagnetic field. An "inner helix" and "central vesicle" have been observed since 1967 (Stubblefield, 1967), and have not been explained. 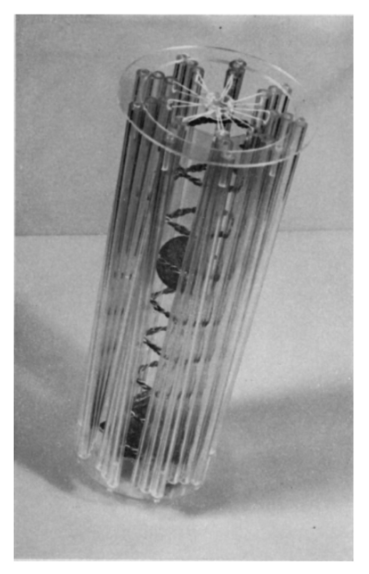 The "inner helix" has been proposed to be an "archimedes screw" (Hameroff, 1987; Wells, 2005), and I had the idea that it was a cytosol vortex from the centriole acting as a pump (via contraction of motor proteins in the cartwheel at the proximal end. ) Neither of those explain the "central vesicle". One idea I had is that the "central vesicle" is an artefact. Then, a plasmoid, a central plasmoid from cytosol being excited into plasma by initial electromagnetic resonance in the centriole, that then powers a plasma vortex (the "inner helix") and induces rotation in the centriole itself. I discovered the idea that gravity was electromagnetic and all that about a year ago, Tunguska, etc, via YouTube videos like those from Thunderbolts, and it blew my mind, made total sense, had not heard of it in the 30 years I had lived. The cross section is interesting too. Yes. There is a "carthweel" at the proximal end, motor proteins that attach to it (constitute it) probably contract all the blades together, generating rotation. This is a model from Stubblefield and Brinkley in 1969. The blades are twisted, seen in electron photographs, they lay more flat and in line with the circumference at the distal end, a result of that it contracts only at the proximal end. The blades are made up of 3 microtubules, and tubulin have since around 1950 been proposed to be a molecular switch, for memory storage and computation. This work from Hameroff, Craddock and Tuszynski shows how CAMKII, associated with long-term memory since 3 decades or so, binds to microtubule lattices and writes memory to it. Note that I would say the memory bytes are 6 tubulin, not 7 as their model, also that MAPS are the addressing system, possibly tau proteins, no need for their "address dimer".